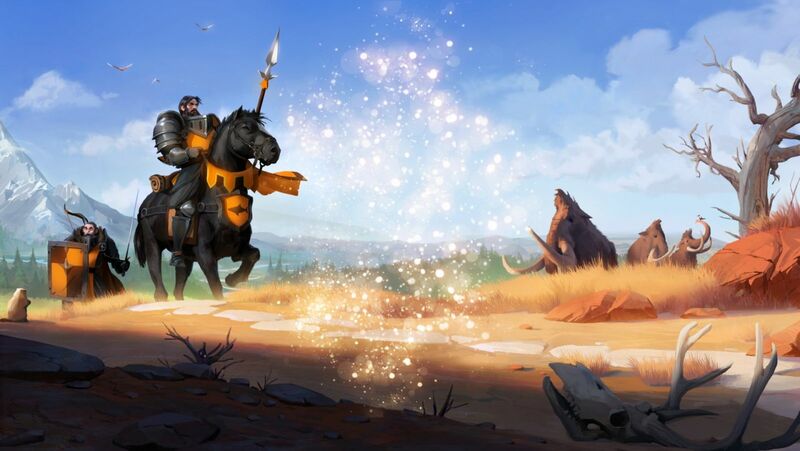 As one of the main improvements Albion Online made after Galahad released for three weeks, the Reputation System Changes play an important role in the game. To know more about it, we'll be straight to the point and list the main changes to the reputation system. • Changing flag inside a PvP zone takes time (say, 60 seconds or so). Changing flag inside non-PvP zones and cities is instant. • As before, killing a blue flagged player with neutral or better reputation will cost your reputation, and the more reputation the victim has, the more it will cost you. • Currently, glorious is hit at 20,000 reputation. A kill costs at most 400, so a glorious player suddenly turning evil would have would get at least 50 "free kills" (more likely, 100 free kills as the average victim won't be glorious) before turning neutral. This is too much "kill storage", so we'd increase the rep loss per kill but at the same time increase the rep gain rate and daily decay as an off-set. The result of that it the overall balance remains the same, but you have less kills "stored" when being glorious etc. • In general, the higher your reputation is, the more difficult it will be to gain more reputation. The lower your reputation is, the easier it becomes. This means that if you want to remain at a stable reputation level in the long term, this is much easier to do if you are villainous than if you are glorious. A side effect of this is that getting up to glorious now takes longer, and would be a true achievement once you get it. By way of example: A glorious player might need 10 hours to neutralize the rep loss he got from killing a noble player. A nefarious player might be able to grind back the same rep loss in just 1 hour. The impact is that - assuming the same amount of grind time per day - a nefarious player could do 10 times as many kills as a glorious player without falling down in reputation. Key result of this is that in general, being glorious instills trust, as it means that while you *could* in theory score skills, in practice, it is something that you rarely do, cause if you would, you wouldn't be glorious. • Consensual PvP is now possible without penalties, as you can freely flag red and back to blue, without reputation loss and no matter what your reputation level is. • For those of you who have been with us for a long time, the gameplay would become similar to how it was before the reputation system, i.e. with your flagging strategy being an important strategic choice. Most importantly, flagging red means you can score "opportunistic kills" against blues, while flagging blue means that other blues can't score "opportunistic kills" against you, and of course, being flagged blue while having high rep means that people who kill you will suffer a rep loss. • The key difference (to the pre-reputation system era) is that killing high reputation blues repeatedly will mean that you have to live with the consequences of being temporarily excluded from green cities, and even red cities if your reputation goes too low. • As you can now always flag blue, even if you have low reputation, it means that you can grind back reputation more consistently. In the current system, if as you are perma-red, if you want to grind back reputation and blues attack you, and you fight back, you will lose even more reputation, meaning that you might be stuck at a low reputation level. For players who have high reputation, Reputation System will be just a cosmetic and defensive in PVP against criminals.